Pacesetter Mortgage is your guide to the process and machinations of getting a mortgage. Whether it’s a home loan, refinance, or reverse mortgage, it’s never simple, even when things go right. When you try to oversimplify the mortgage process, it can become impossible to get things right. Take the ubiquity of mortgage calculators. Unless these calculators actively update with the latest local information for home insurance, property taxes, and interest rates, these calculators will fail to accurately portray how much you’ll pay in total each month on the mortgage. Worse still, if you’re like most people, you also don’t have an unlimited amount of time to research the general process of getting a mortgage, as well as the particulars of the real estate lending market at any given time. More than any particular tip along the way, it’s essential that you find the right balance between researching different mortgage providers, researching the local real estate market, and keeping up with the rest of your work and family life. Countless people, many of them first-time home buyers, get through it and reach a satisfying outcome with their mortgage. Here at Pacesetter Mortgage, we want to help you set the pace for own mortgage schedule. We offer a range of basic information, market updates, targeted strategies, and personalized advice. If you have a specific question about getting a mortgage, feel free to reach out to us and we’ll answer your question the best we can. 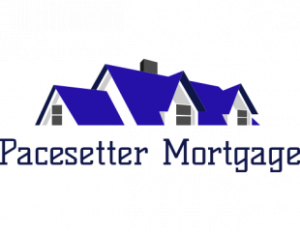 Author Felecia RobertsPosted on 01/02/2018 01/29/2018 Categories BloggingLeave a comment on Welcome to Pacesetter Mortgage!